There’s no shortage of inspiration with this collection of enlightening pieces, engraved with phrases you’ll carry with you for years to come. 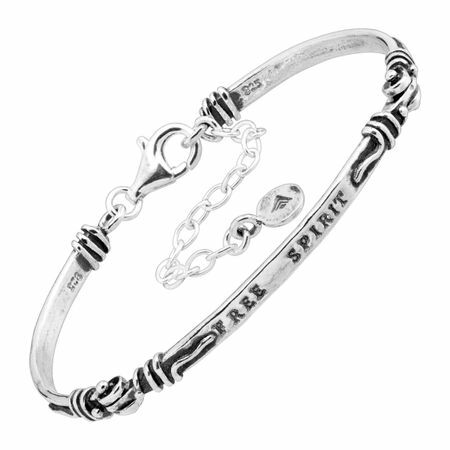 Let your true colors show with this 'free spirit' bracelet, crafted in etched sterling silver for an eclectic look. Bracelet measures 6 inches long, plus a 2-inch extender for adjustable length, and features a lobster clasp. Piece comes with a “.925” sterling silver quality stamp as a symbol of guaranteed product quality.